What is Motorsport in the UK? Motorsports take place in many different countries but the United Kingdom is definitely one of the countries where motorsport is most prominent. The region has made himself available for many impressive events such as the Formula One World Championships as well as many national series. Looking at the true meaning of what motorsport is, it is a collection of sporting events that involve some type of vehicle that is motorized. This can be used for racing or other competitions or competitive events. It can also include versions of motocross which is off-road racing as well as the use of two wheeled vehicles such as motorcycles. There are different organizations that govern the sports and subsets of motorsports. This is determined by the number of wheels that the vehicle is comprised of. 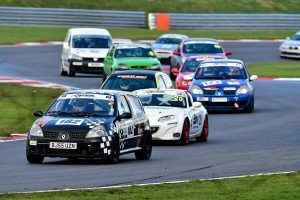 There is a lot of diversity to motorsport activities in the UK such as the club racing and the historic racing. What many enjoy about motor is that this gives a great opportunity for amateurs drivers to be a part of the sport. There are many different variations for club racing that are available to the amateur and a whole gambit of variations in motorsports that they can become part of. Historic motorsport racing is comprised of the use of vehicles that are from a specific time period. This is the type of racing that seems to be participated in by those that are more affluent. No matter what form of motorsports one is involved in, there are plenty of clubs, competitions and tournaments both for participation and for providing entertainment to the spectators. It is a sport that is so diversified that it allows those that want to participate in the chance to try different versions of motorsports before finally deciding on which one they like the best. What is Karting in the UK?